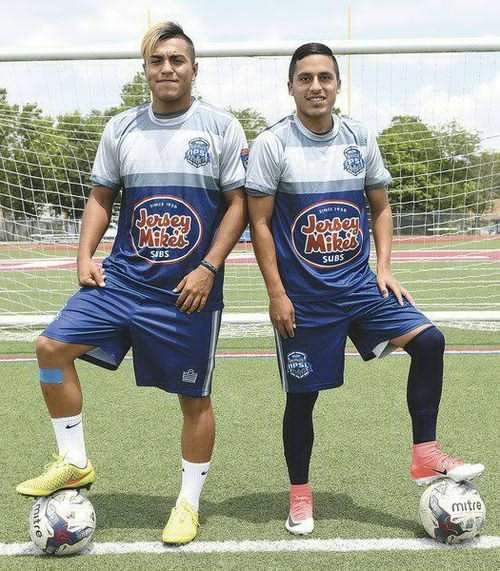 For as long as they can remember, Dominique Salcedo and Luis Santillan have shared a passion for the game of soccer.And as one would imagine, the two Joplin High School graduates hope to play “the beautiful game” for as long as possible.Both Salcedo and Santillan are suiting up for the Demize National Premier Soccer League (NPSL) (4th division in the US soccer pyramid) this summer. In the process, the longtime friends are playing the game they’ve always loved while also keeping their dreams of competing professionally alive. Both athletes said it’s an honor to play for the Demize. “Playing for the NPSL team is a great experience and has been a great opportunity for me,” Salcedo said. 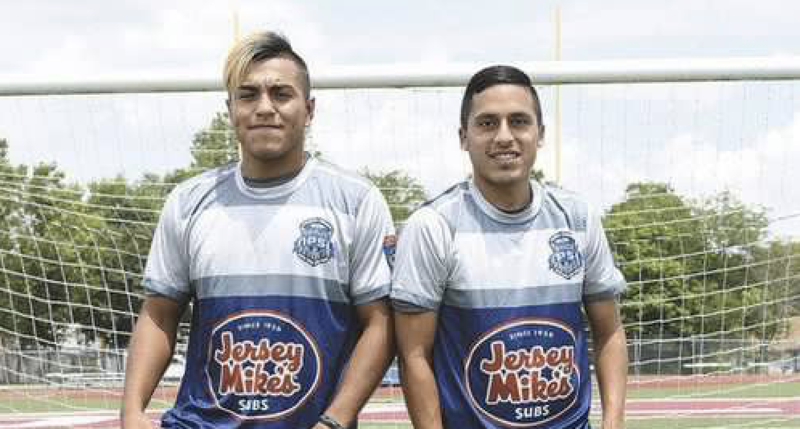 Demize NPSL director of soccer operations and head coach Chris Hanlon said both Salcedo and Santillan have long displayed a passion for their chosen sport. A 2015 graduate of JHS, Salcedo was an all-league and an all-district forward for the Eagles. Salcedo, who can shoot with his right or left foot, was also a kicker for the high school football team. Nicknamed “Domi” by his friends, a 17-year-old Salcedo was the youngest player on the roster during the inaugural season of the franchise formerly known as the Joplin Demize in 2014. After his standout prep career, Salcedo took his talents to Crowder College to play for the Roughriders. Now, he’s earning minutes for the rebranded Demize NPSL squad. Santillan is a 2014 graduate of JHS who played at Northeastern Oklahoma A&M after his standout prep career for the Eagles, which included all-conference and all-district honors as a midfielder. Like Salcedo, Santillan is currently earning playing time for the Demize. In addition to their exploits at the prep level, Hanlon noted that both Salcedo and Santillan have gone through the ranks of his local program, beginning with the Demize academy and his PASL (Premier Arena Soccer League) indoor squad before earning a spot on the NPSL team. Both Salcedo and Santillan noted the NPSL is a big step up in competition from the high school and community college level. “It’s a lot faster,” Salcedo said. “You touch and go and you don’t have time to keep the ball. You have to get rid of the ball quickly or someone’s going to come and take it or foul you or just run you over. Santillan had a similar assessment. The two noted playing at a higher level has only helped them improve their skills, as well. “I’ve improved, I’ve been getting more minutes and I just want to make a difference when I’m out there,” Santillan said. Hanlon noted the two local products have benefited from joining the team — on and off the pitch. “They get to be exposed to players from all over the world in the NPSL and they’ve also created a lot of friendships,” Hanlon said. As one would imagine, both Salcedo and Santillan hope to continue playing competitive soccer for as long as possible. Santillan had a similar view. For both athletes, it’s hard to imagine themselves not playing the beautiful game.